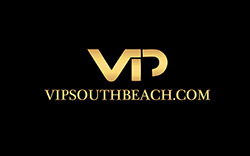 Our South Beach Miami nightlife VIP services is the best way to make sure you are at the right bars, restaurants, lounges and nightclubs on the best nights in the Miami Beach nightlife scene. Spending you hard earned money and flying to South Beach for a few nights can add up in expense. So why would you not want to make sure you were at the the best hotspots for each night? We will give you our insiders guidance and make all your restaurant reservations before you arrive to ensure you eat dinner at the trendiest restaurants at the prime hour to dine. Give you great insiders tips on the new hip spot to go for that perfect Martini before and after dinner. The nightclub choice is key depending on the night. Nightclubs are best on certain nights depending on the event and the promoter. We will take all the guess work out and reserve your VIP table with bottle service at the hottest insiders party of the night. You and your party will walk in like celebrities with no waiting and complimentary admission. We also offer the best South Beach nightclub packages in Miami that include open bar, limo transfer and hosted no wait club entry.